© Richard Davenport for The Other Richard, Iris and friend, Lion. 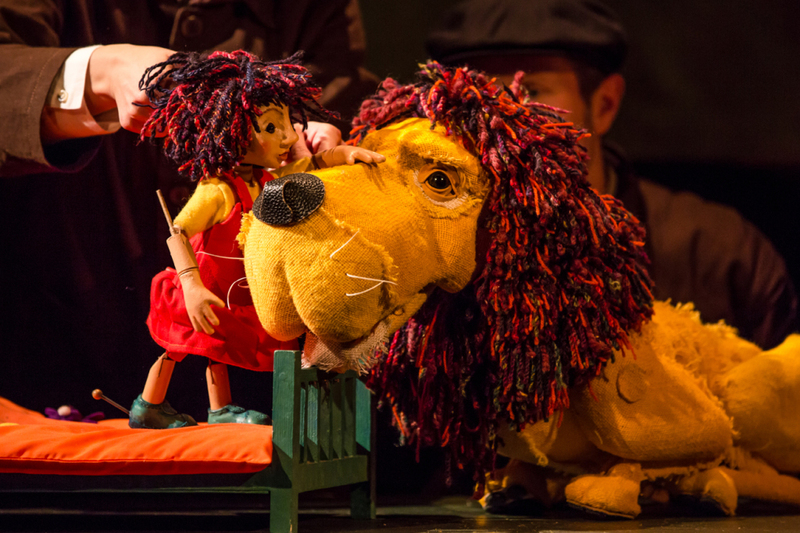 Adaptor director Peter Glanville was artistic director at Little Angel puppet theatre for eight years and it shows in this delightful, imaginative adaptation of the book by Helen Stephens of a lion chased from a town who finds friendship with a little girl called Iris. Not only are the puppets and puppetry gloriously animated but Glanville has had the brilliant idea of turning it into `a puppet jazz musical’. I can’t ever remember seeing a jazz-oriented show for young ones before. But in Barb Jungr, he’s chosen not only one of the great jazz singer-songwriters of her age but also a known, tried and tested lover of making musical theatre for children. Jungr it was who wrote the music and lyrics for Glanville’s still touring adaptation of Michael Rosen’s We’re Going on a Bear Hunt. So Jungr brings class and empathy to this short but dazzling 40 minute show that had the 3-6 year olds first gripped into silent awe before oohing and aahing at the visual magical bits that came before them. Stephens’s humane story of the lion who acquires a hat as reward for a good deed on behalf of the town, is made more so by Laura McEwen’s wondrously compact but inventive set that starts out as an old fashioned but rather wondrous hat shop before proceeding to open out into a town at night created by dozens of little windows with lights behind them. Samuel Wyer’s puppet lion too, with great shaggy mane is a creation to fall in love with as is the kindly, courageous little heroine, Iris. For older audience members it’s not difficult either to take something a bit more serious from her `middle town’ townsfolk chasing Lion from town because he is different and `a danger’ to the community but being won over by his bravery. 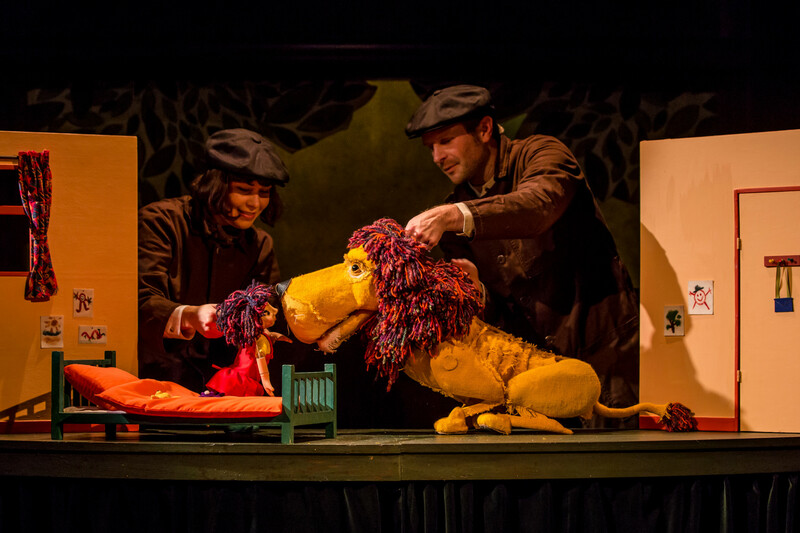 As the voice-overs/singers/puppeteers and scene shifters, its hats off though to Clare Rebekah Pointing and Phil Yarrow whose sweet voices and puppet handling are carried off with effortless skill and ease. A stunning little show, highly recommended for all ages. This entry was posted in 2016, Reviews and tagged Barb Junr, children's theatre, Clare Rebekah Pointing, Helen Stephens, Laura McEwen, Peter Glanville, Phil Yarrow, Polka Theatre, puppetry, Samuel Wyer on November 1, 2016 by Carole Woddis.